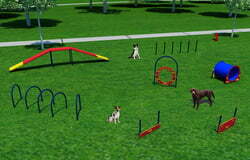 Choose from Red/Mariner Blue or Green/Black to match our play equipment, or select your own color! 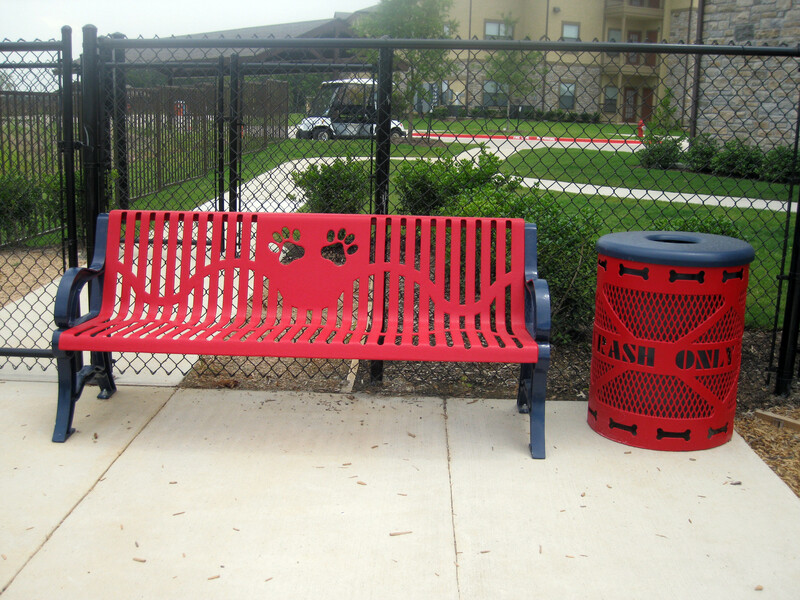 The Deluxe Dog Paw Bench gives your park an added touch of class, with durable cast aluminum end frames that cannot rust. The curved one-piece seat and armrests make this a more comfortable park bench. Surface mount only and Bernese Mountain Dog not included! Standard colors are red/blue and green/black with other color options available as well. 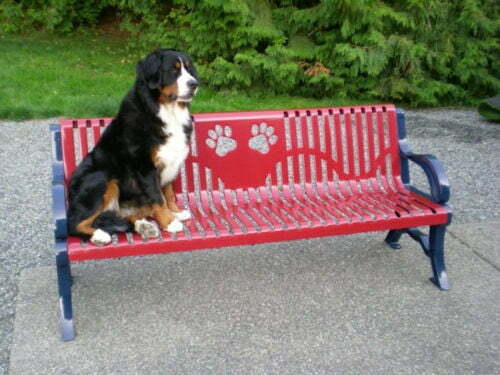 Deluxe Dog Paw Bench frames are fabricated from recycled cast aluminum, with 3″ wide armrests for added comfort. Seat is made from heavy gauge steel with a double-paw emblem which is laser cut into the backrest. 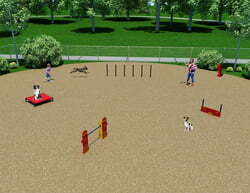 Custom logos are available at an additional set-up cost. Seat features a highly durable texture polyethylene coating to seal all surfaces to help prevent weathering and rust. 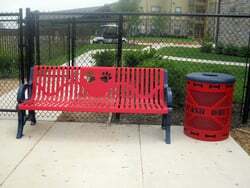 Standard length of bench is six feet and the seat is 18 inches above the ground when installed.